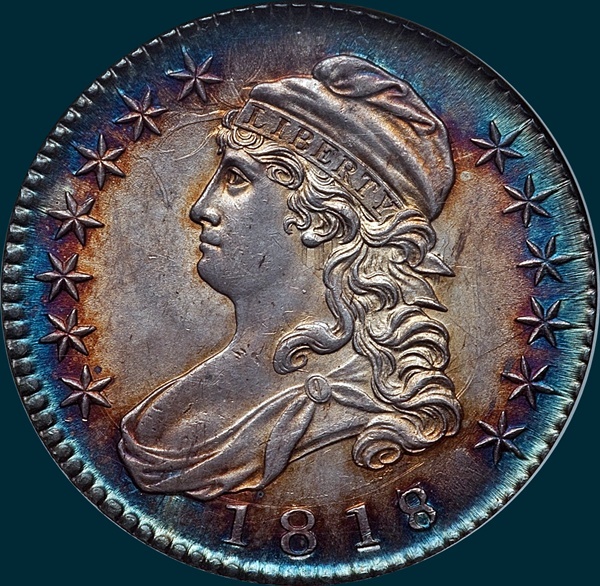 One of the most readily available overdates, with high grade examples up to MS65. Usually overdates command significant premiums, but 1818 overdate premiums are quite a bit less than all of the earlier years. 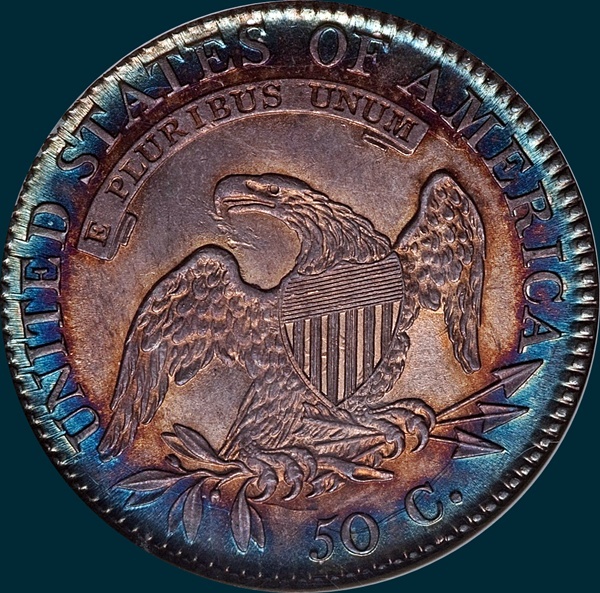 The obverse die was used a second time on the O-103. 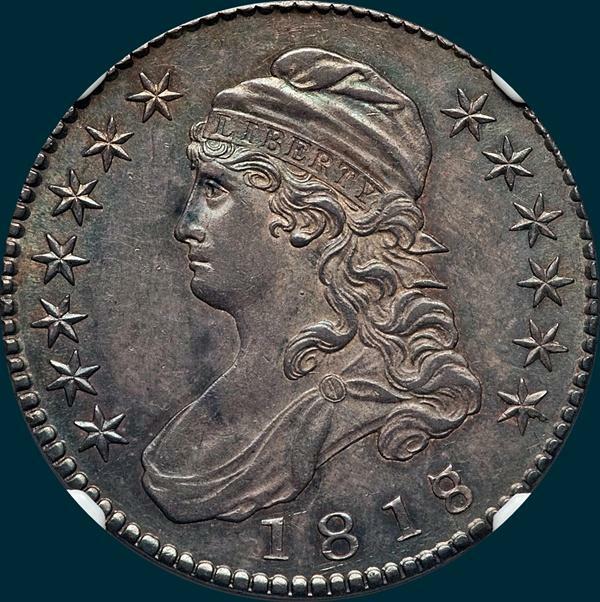 Variety Attribution: Obverse-1818 over 17. Date is a wide 11 mm. 181 wider than last 18, first 8 larger than second 8. Serifs and crossbar of 7 show above top of 8 and trace of stand in lower loop. Center dot on neck. O-101a: Fine die crack from edge through star 11 to curls on most specimens. 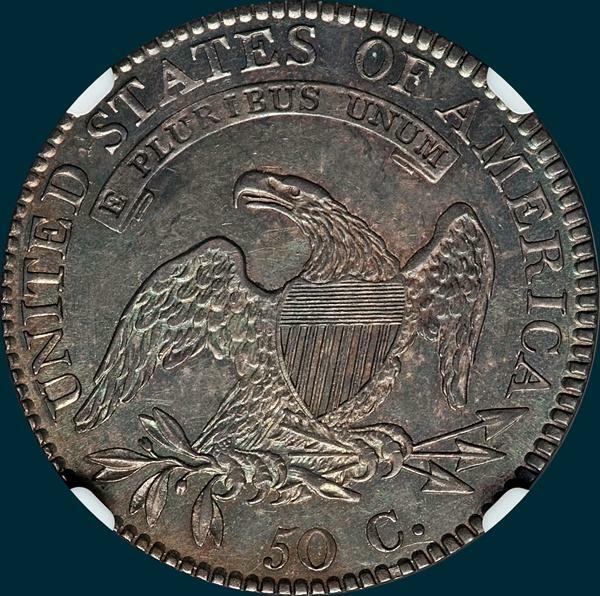 Reverse- 50 C. is 2 mm. Arrows to A is 1/2 mm. Center dot between crossbars 4 and 5. Right sides of T-I are in line. O-101a: Die crack through 50 C. across olive leaves and to UNI. UNITED is very close to edge.